Viv and Max were best friends for years, then they were lovers and then it all went terribly wrong. Now finally they are to be reunited. Viv feels sick. Not just with nerves at seeing the gorgeous Max again, but because there's a small chance she might… quite possibly… most definitely… be pregnant. It's thrilling. But also terrifying. Then, as Viv's long-lost mother reappears on the scene and they all end up sharing an apartment, all hell breaks loose. HOW ON EARTH ARE THEY GOING TO COPE? Viv and Max have a history if you have read 'Never Google Heartbreak' then you would already know the beginning of their love story or love affair from what I can gather. I haven't read the 'Never Google Heartbreak' but I will make sure to read it soon! OMG Baby! picks up with Viv going to Greece to find Max and to bring him back to London, though it doesn't take her long to realise that she maybe in fact pregnant... with Max's baby. They both are happy and nervous about being parents to a baby, but they decide that going back to London is the best thing for them. Unlike the short relaxing trip to Greece, things in London seem to be going fast than they can think. Viv has just started her own business 'The Dream Team', with Christie who she knew from her previous job, she is very fashionable with her outfits and doesn't mind saying what she really thinks. There is also Michael who is the IT guy, and is very excitable when it comes to mostly everything even though he is not getting paid for the work he is doing for 'The Dream Team'. There is also Damon, the strange man who owns the building they are leasing, yet he can't seem to leave them alone, even for a few minutes. One of my favourite parts, is when they are talking about him and all of a sudden, he is behind them as if he appeared by magic, scaring them especially Viv. 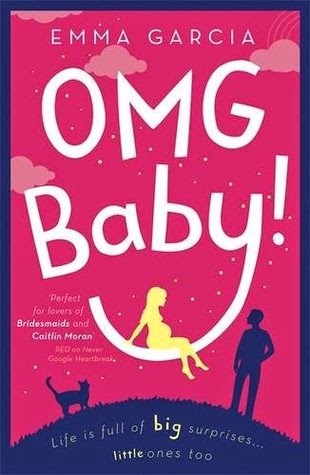 It doesn't take long for Viv to get used to being pregnant, though things take a different route than first planned, when Viv's mother turns up. Having not seen her much since she had abandoned her with her nan at seven years old, she turns up hoping to spend time with Viv, especially since she, herself is about to be a mother. However, things start to go from hopefully to bad, in a short space of time. Viv wants to get to know her mother, but Max and her mother keep throwing insults at each other and it starts to drive Viv mad, not knowing what to do. To make matters worse, her mother starts to live with them as well, no one really agrees with Viv about her mother but Viv just wants to chance to get to know the mother she never knew and also get advice about her impending motherhood. Although, things don't seem to head in the right direction, at all. Max's art isn't selling as well as he had hoped, Viv's new business can't seem to catch a break and Viv's mother just seems to be making the whole situation worse. A lot of things happen in the space of this book, many of them you could imagine happening and many were also very crazy but then again what to do expect with a crazy mother, crazy work colleagues, a posh best friend that knows everything about you, one cat that seems like a very good judge of character and a couple that are trying to find their way through their impeding parenthood. I think that Emma Garcia is a great author who can write unforgettable characters that are so much fun to read about and you can't wait to find out what happens next. With it's realistic storyline, it is the perfect chick-lit novel that any chick-lit fan would love to read. The other thing that loved about the book was the facts at the beginning of each chapter, they made the book unique in its own way.